Jade: Considered a sacred stone in China, where it is placed on altars to the sun and moon. Jade is also associated with Venus and worn to attract love and marriage. Jade is green in color and can be used for love, healing, longevity, wisdom, and to prolong life. Jet: Again, this is not a stone but rather fossilized wood, millions of years old. Black as midnight, jet beads are often combined with amber beads and used for protection, psychic power, good luck, and health. Lapis Lazuli: Prized by the ancient Egyptians for its royal blue color and flecks of golden pyrite. It is associated with the goddesses Isis, Venus, and Ishtar. Lapis brings joy, love, friendship, and courage and helps to protect against infidelity. Moonstone: An opalescent blue or white feldspar. The moonstone is associated with the Goddess and lunar power. It is worn or carried for love, divination, protection, youth, and healing. Most Witches prize the moonstone above all others because of its connection to the Goddess. Diamond: A highly prized gem of great clarity and brilliance. Diamonds are associated with the sun, the element of fire, and the ability to resonate energy. They are exceptionally hard, resilient, and of course, expensive. Shamans have been known to use diamonds to help them alter their states of consciousness in order to reach higher states of spiritual awareness. The diamond can be worn or carried for protection, courage, wealth, peace, sexual energy, spiritual enlightenment, health, and strength. Emerald: This brilliant dark green stone is one of the most expensive on the market. It is associated with the goddess Venus and the element of earth. The emerald is used in spells that promote monetary gain, encourage love, and help increase mental powers. Garnet: A bright red, fiery gem of incredible depth, worn to bestow faithfulness and to renew friendship. The garnet is associated with Mars and the ability to protect. It has been known to enhance bodily strength and virility. Use the garnet for protection, healing, strength, friendship, and love. Carnelian: A warm, red-orange in color, smooth to the touch. The stone is carried for courage and to curb jealousy and envy. It is also believed that the carnelian will prevent certain skin diseases which has made it popular with healer. Carnelian can also be used for courage and sexual energy. Crystal Quartz: Considered to be a master stone of power. It is associated with both fire (because of its ability to focus the sun’s rays to ignite combustible material), and with water (because it looks like ice). Witches wear crystals to represent the Goddess, the moon, and psychic power. Crystals can be used to decorate magickal tools, create protection barriers, and to focus and direct personal power. Carnelian: A warm, red-orange in color, smooth to the touch. The stone is carried for courage and to curb jealousy and envy. It is also believed that the carnelian will prevent certain skin diseases which has made it popular with healer. Carnelian can also be used for courage and sexual energy. Crystal Quartz: Considered to be a master stone of power. It is associated with both fire (because of its ability to focus the sun’s rays to ignite combustible material), and with water (because it looks like ice). Witches wear crystals to represent the Goddess, the moon, and psychic power. Crystals can be used to decorate magickal tools, create protection barriers, and to focus and direct personal power. Amber: Not exactly a gem stone, but still highly prized among Witches and magicians. Amber is a fossilized resin that was favored among the ancients for its rich, golden, honey color. Amber represents the congealed rays of the setting sun and is worn for strength, protection, beauty, and love. Amethyst: A vibrant purple quartz, considered to be very spiritual in nature. Amethyst has been valued for thousands of years as an instrument of magick. It will help clear confusion, aid in prophetic dreams, and protect against self-deception With no negative qualities, amethyst is very calming and spiritually uplifting. Aquamarine: Sometimes called “sea water,” it belongs to the goddess of the ocean. It is a pale blue-green color and is carried to enhance psychic power. The stone is also used for healing, purification, and to bring love and happiness. With no negative qualities, amethyst is very calming and spiritually uplifting. Aquamarine: Sometimes called “sea water,” it belongs to the goddess of the ocean. It is a pale blue-green color and is carried to enhance psychic power. The stone is also used for healing, purification, and to bring love and happiness. Gardens, especially ones designed with a purpose, will attract good fairies, gnomes, and all manner of beneficial creatures. Cultivate a nine foot circular patch of earth. Around the perimeter, place small stones and crystals. In the center of the circle place a stone garden gnome. Around the gnome, plant a mixture of marigolds and clover. Each day, spend some time with the gnome. Make friends with him and beseech him to make your wealth grow as the garden does. To ensure he follows your wishes, chant the following each time you water the garden. My love and energy I now share. I give you loving care. If there is one thing that a fairy takes great pride in, it is the ability to charm and enchant an unsuspecting human. 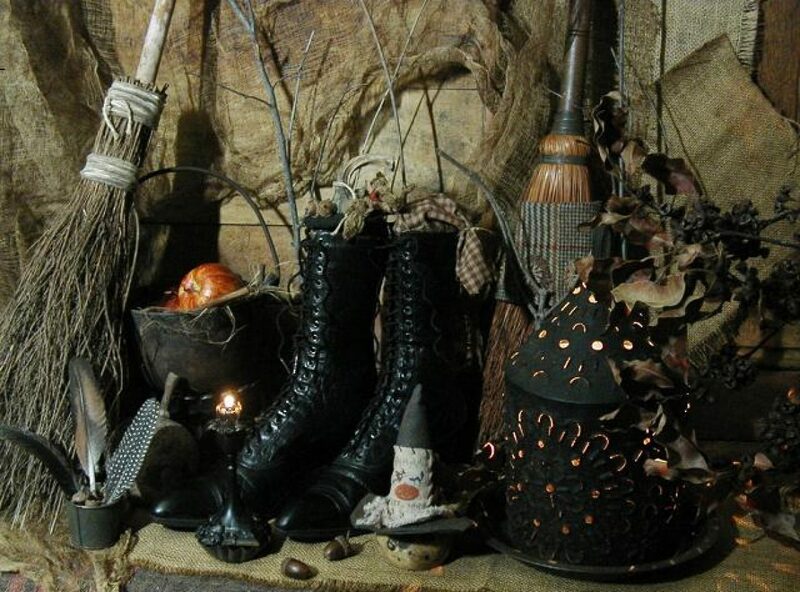 Using herbs, flowers, and mystical incantations, the skillful fairy makes a magickal dust that can be used to inspire love, protect loved ones, and bring forth great riches when sprinkled on the ground or over an unsuspecting human. Place the powder into the dark blue jar. Bless this dust to serve my ends. To bring me love, wealth, and prosperity. Rise and leave the area for one hour, giving the fairies time to bless your powder. When you return, thank the fairies for their help, retrieve the jar, and leave the three silver coins in its place. Sprinkle the powder over a sleeping loved one to increase passion, sprinkle on the threshold of a business to attract new customers, or sprinkle around the perimeter of your home to invite happiness and good will. Because fairies are connected to nature, their spells are usually performed outdoors. A small brook, a secret lily pond, the base of your favorite tree, or a field of wild flowers all make excellent settings for fairy magick. Even large, lush window boxes, overflowing with fragrant herbs and delicate blossoms, can serve as a haven for the wee folk. For this spell you will need a small white birthday candle, a silver coin, seven moon cookies (sugar cookies cut into crescent moons), and a secluded wooded area where you can be alone. As you walk through the woods, keep a close eye out for Fairy circles, small circular areas surrounded by inedible red fungi with white spots. It is believed that fairies meet within these rings to celebrate their magickal rites. When you find a fairy circle, carefully place your coin in the center of it. Set the candle on top of the coin, light it, and make your wish. When the candle has completely burned out, place the moon cookies around the coin, state your wish aloud, and then walk away. If you return to the spot and your coin and candle are gone, you will know that your wish has been granted. The mountain spirit of Peru who inhabits the high Andes, called upon by the brujos (shamans) to heal the sick. The brujos will call the auki by whistling. The auki will descend, and channel its power through the brujos. A frightening goblin of English folklore. The bogie is described as little, black, and hairy. It is considered dangerous, mischievous, sly, and is renowned for its intelligence. Parents would use the threat of the bogie to frighten young children into good behavior. A household spirit popular in northern English and Scottish folklore, the brownie is a very small, brown, shaggy human and usually dresses in ragged brown clothes. Brownies are considered to be most industrious when it comes to such household chores as grinding grain, churning butter, and plowing. They love to help humans with their work, especially with tedious tasks. Brownies are thanked with a bowl of fresh cream and freshly baked bread. If criticized, they will undo what they have already done and destroy a good deal more. In New Age philosophy, devas are the guardians of nature and are responsible for building up forms on the inner planes as well as on the physical plane. The devas hold the keys of fate for all forms around us. They appear in every shape and size, from the earthly gnome to the highest archangel. Found in British, Scandinavian, and Teutonic folklore, elves are tiny, human-shaped supernatural beings who resemble little old men. However, elf maidens are considered to be young and very beautiful. They live in communities or kingdoms, hidden in the hollows of trees, long burrows, or in mounds. They are ruled over by an elf king and queen. Elves exert their powers over humans whenever they can, usually with mischievous intent. When offended by humans they will take revenge by stealing babies, cattle, milk, and jewels, and they have been know to enchant the offender and hold them for years. Elves emerge after sunset to dance in the moonlight, swim in shallow pools, and frolic in the woods. Considered to be a nature spirit or elemental, gnomes resemble dwarfs with small stocky bodies, and usually appear as little old men dressed in monks’ habits. Gnomes live in the earth, the element they represent, and are the guardians of mother nature’s treasures. A grotesque, diminutive, malicious earth spirit. Popular in European folklore, goblins are said to be knee high, with heavy gray hair and beards. They inhabit the homes of humans, where they indulge in poltergeist activities. They are not fond of adults but do seem to like children, as they have been known to protect them and bring them gifts. A mischievous minor fiend often described as being a childlike offspring of the Devil. Imps manifest in many different forms. The most popular form is that of an evil-looking infant with tiny horns protruding from its head and tiny wings from its shoulders. Imps were the star attractions at Witch trials, as they were considered to be the familiars of the accused. The folklore of Ireland is filled with famous tales of this fairy shoemaker. The Leprechaun is depicted as having a wizened face, gray beard, and twinkling eyes. He wears a red jacket with silver buttons, brown breeches, black, silver-buckled shoes, and a high crowned green hat. In pictures, he usually appears in an apron, holding a hammer and mending shoes. This wee creature is tricky, and likes to make mischief with humans. He also has a reputation for having a huge stash of gold hidden in a secret place. Nymphs are female water spirits that appear in classical Greek and Roman mythology. They are portrayed as beautiful your maidens dressed in gossamer gowns, with long flowing hair. The nymphs would attend to gods and entertain them with dancing and music. Like most spirit creatures, nymphs were both benevolent and malevolent toward humans. These small creatures are said to have red hair, small, turned up noses, pointed ears, and pale, youthful faces. They especially attracted to gardens in bloom, and take up residence under toadstools. Pixies have mixed emotions when it comes to humans. However, if they take a liking to someone they will help him or her out with household chores and gardening. They also like to work with gold, silver, and bronze. Some believe that the residue from their metal work is the main ingredient in Pixie dust, a magickal powder use to make wishes come true. Fairies are magickal creatures endowed with the powers of shapeshifting and invisibility. They dwell in an invisible kingdom known as middle or lower earth. Often depicted as small humanoid beings with diaphanous wings, they look like tiny angels. However, they are not angels, they are unpredictable, and they can be as puckish as they are benevolent. Sometimes referred to as “little people,” fairies are an important part of most cultures, religious traditions, and folk beliefs throughout the world. In European culture, they are believed to be nature spirits who dwell in the trees, plants, and waterways. Christianity seems to think they are Lucifer’s fallen angels and therefore evil. Other folk beliefs, especially those of African origin, view them as souls of the dead or ancestors. Celtic culture has probably done the most to promote the idea of fairies, who are believed to be the descendants of the small, dark, Neolithic people who invaded early Europe. Being small and dark and living close to the land allowed them to quickly hide from their enemies. This ability, along with their elusive mannerisms, led people to believe they were capable of magick, shapeshifting, and invisibility. When the old Pagan religions died out, the fairies were relegated to the realm of myth and fantasy. We find the Great Goddess transformed into the Good Fairy Godmother or Queen of Fairies. The Horned God became the Fairy King, Puck, and the trickster. Those with less appealing traits were relegated to the realms of devils and demons. Good Sunday Morning, my little rays of Sunshine! May the Goddess Bless You & Your This Beautiful Day We Have Been Granted! Howdy, my little rays of sunshine! How are you doing this morning? I hope super and I hope you are enjoying your Sunday so far. I have a quick question, don’t y’all like chat? Straight and to the point at least, lol! Even though yesterday was an impromptu chat, we did have a good turn out. People hopping in and out, saying hello, asking questions, I don’t know about them but I enjoyed it. When I say I want to get to know each of you, I am very sincere. If you have any problems or concerns about the Craft or any other topic, I am more than happy to answer your questions or try to help you. Now if you want a one on one chat, we might have to schedule that. But back to my original question, I have noticed that most people tend to hop in later in the mornings. So are y’all not morning witches? I know I am not a morning witch but I don’t believe you would want to chat at the hours I keep. But I would like to get to meet more of you, so would later in the day be better for most of you? I told you we were going to use the chatroom this time and we are. I was planning on a blessing ritual, a initiation ritual, a purification ritual and a lot more, but I want to know if you would show up for such a ritual. I have even considered going back to pod casting our rituals. That way you would have them on hand and could follow along and use them when it is convenient for you. The more I think about that idea, the more I like it. We might give that a go and see how it works out. Think it over and let me hear what you think, remember I don’t bite, much, lol! Two more things real quick, during the weekdays we have a routine we follow. Today I am going to break that routine and put some information on the site. Hopefully you will find it useful. Next, this is about the store. We are currently offering free shipping on all our merchandise in the store till the end of the month. You can save some money when you don’t have to pay for shipping. Plus we have several new lines on there. One I am particularly fond of is our Specialty Pentagrams. 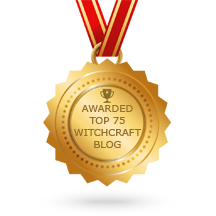 The pentagrams are concentrated for every need you might have, everything from banishment, protection from evil spirits and boosting your power. We also now carry a huge selection of chime candles, every color you can imagine. Last but not least by far, we have a line of perfume we now offer. The perfume is magickal infused and can be worn on the body or used in spells or rituals. The perfumes range in senses of Lavender, Patchouli, Night Queen and several more. If you haven’t checked out the store recently, now is the time to do so. You can save quite a bit on the free shipping just by itself. I will put the addy below for you. Well, I believe that is it. Let me know about the chat times that would be fine for you. I am off to get busy now.